The new Land Rover Range Rover Sport is a formidable piece of machinery. It’s much more luxurious than its brawny exterior would suggest, and it handles as good as you can expect such a large SUV to handle. Taking its engines from the standard Range Rover’s powerful range means the brand had to increase its size. It’s still smaller than the standard model, but better bigger than its predecessor. Despite this increase in size (which goes hand in hand with more off-road abilities), it’s actually lighter than last time, which has improved agility and speed. 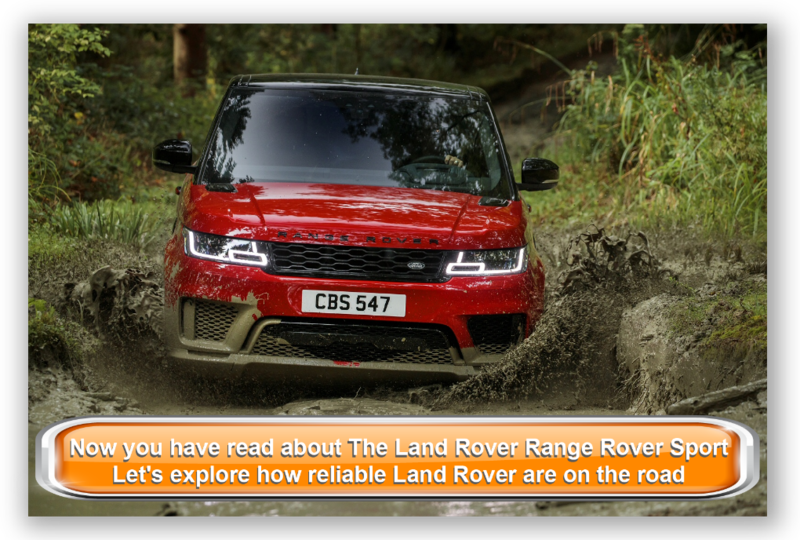 OSV takes a closer look at what it’s all about with our Land Rover Range Rover Sport review. The new car is faster in a straight line than before, and it’s also more responsive in bends. But there is no denying that this is still a huge, weighty 4×4, and telltale signs are there – especially the loss of grip if you approach a corner too fast. Still, the introduction of an aluminium chassis and body means that it weighs less than before, and so while it doesn’t quite feel balletic, there is a nimbleness about its driving qualities. You can take it off-road without any worry, as it’s just as well equipped for the rough stuff as the standard Range Rover. A special suspension setup and high ground clearance help to this end, while air-suspension improves ride quality. There are a couple of diesel engines to choose from, but just one petrol. This is a V8 5.0-litre unit that develops up to 503bhp in its less expensive guise, and an explosive 542bhp in the SVR model. If you want all that power, the SVR can do 0-62mph in 4.7 seconds, while the less powerful of the two does it in 5.0 seconds. The differences are minor – both engines are breathtakingly fast for a car of this size. A 3.0-litre V6 engine kicks off the diesel range. It can get you from rest to 62mph in a more modest but still impressive 6.8 seconds, and is the cheapest engine in the range. An SDV8 4.4-litre offers 329bhp, and covers the 0-62mph sprint in 6.5 seconds. We like it better than the V6, as it’s quieter and smoother. A diesel hybrid engine rounds off the range in style – it’s fast (0-62mph is taken care of in 6.4 seconds) and the cheapest to run. However, it will cost more to buy outright than the other diesels, so it’s only worth going for if you expect to cover a lot of miles. One of the best things about the new Land Rover Range Rover Sport is its cabin. It’s luxurious and well put-together. It does a good job at keeping external noises to a minimum, and it’s also refined. The dash is well-built and looks great. Covered in leather, it comes with a lot less buttons than last time around, thereby contributing to an interior that is both stylish and upmarket. The seats also offer plenty of comfort, as well as a commanding view of the road. In terms of practicality, the new Sport does well, not least because of its sheer size. It’s not as big as the standard Range Rover, but it isn’t far off. Visibility is good, thanks to a high seating position, while parking aids that come as standard make it easier to park than it otherwise would have been. Taller adults should be comfortable enough in the rear, although knee room might be an issue. You can have seven seats if you wish, but this is very much a 5+2, with the optional third row of rear seats only being suitable for kids. If you do choose them, you’ll miss out on a spare wheel. The boot is gargantuan, and offers 784-litres of space that can be extended to 1,761 by folding down the rear seats. As you’d expect for such a high price, standard kit is generous. The base-level model gets cruise control, automatic wipers and lights, 20” alloys, heated rear and front seats, Bluetooth connectivity, parking sensors, sat nav and bright xenon headlights. The HSE Dynamic trim adds 21” alloys along with a higher max speed and enhanced driving aids, while the Autobiography model gets triple-zone climate control, heated front seats, and adaptive cruise control. The SVR model, meanwhile, throws in front and rear sports seats, sportier interior and exterior styling twists, and a button which can manipulate how much sound comes out of your exhaust. Despite all those goodies, the list of optional extras is still quite long. It includes four-zone climate control, remote unlocking, softer-closing doors and a heated steering wheel. And if you wanna treat your backseat passengers, you can get massaging rear seats. Prices for the new car start out from £62,700 and rise to almost £96,000. For more information on our leasing deals, you can check out our page here. In terms of running costs, the Land Rover Sport fares pretty poorly overall. This is something to be expected from a high price tag for such a large car. If you’re concerned about fuel economy but really want to get your hands on one of these, the hybrid model is your best option. It will cost more to buy than the diesel engines, but will save you money in the longer term if you’re to be putting in the miles. Average fuel economy returns for the hybrid model are 44.1mpg. Road tax, meanwhile, is £205 per year. The cheapest diesel engine to run is the 3.0-litre unit which can achieve fuel economy returns of 40.4mpg, while incurring a yearly road tax bill of £225. From there, things get ever more expensive, with the SDV8 returning 30.5mpg at best, and the V8 petrol returning 22.1mpg at best while lumping you with an annual road tax bill of £505. The cheapest model to insure is the standard diesel, and it occupies group 43, while the most expensive to insure is the V8 petrol, which sits in group 49. This machine as a lot of natural abilities. The steering is super precise and crisp, which makes it surprisingly easy to tackle towns with such a hulking mass of a car. Off-road, the Range Rover Sport outclasses its competitors. The interior is a wonderful addition to the Land Rover canon. The layout might be sporty, but it’s still luxurious and there are plenty of practical touches. On-road prowess, off-road prowess; luxurious; robust – this is an excellent all-round. This car really is aimed at you who have money to burn. More expensive to buy than most premium rivals, it’s going to cost a lot to keep it on (or off) the road. It’s the most frugal in the range, but it’s hit and miss overall. You can run it on just its electric motor, but only if you’re prepared to drive like a saint. It’s more expensive than the SDV6 diesel, but really no better. 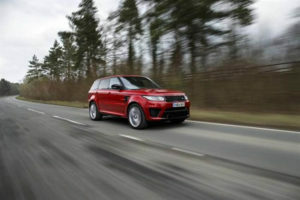 Let’s see how the car measures up against its rivals in the comparison section of our Range Rover Sport review. The new BMW X5 4 x 4 is a powerhouse that is super performative. It’s also comfortable and practical. The X5 weighs a bit less than last time around, but is still a heavy vehicle. But despite its sheer size, it’s an adept handler that has excellent body control in bends. The steering feels a bit unnatural at times, while the car is not much use to you off-road. It also lets in a fair amount of external noise. The 4.4-litre V8 that powers the X5 50i model is the only out-and-out petrol engine in the range. It can 0-62mph in 4.9 seconds, which means it can make even high-performance cars blush. A 2.0-litre petrol engine works in tandem with an electric motor to power a hybrid model that’s capable of getting you from a standstill to 62mph in 6.8 seconds. 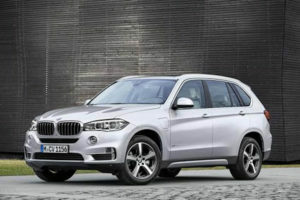 The diesel engines are just fine if you’re not after serious performance from your X5. The entry-level X5 25d model has a 2.0-litre diesel engine that delivers up to 228bhp, and which does 0-62 in 7.7 seconds. A 3.0-litre six-pot diesel engine is your best bet if you want more show and towing prowess, and it can do 0-62mph in 6.8 seconds. It’s our preference, but there are faster models in the range. If low running costs are a priority of yours, the xDrive 30d model offers the most value for money. It has good resale values, is relatively inexpensive to purchase, and can average fuel economy returns of 47.9mpg while costing £185 a year in road tax. At the other end of the scale, the twin-turbo 4.4-litre V8 petrol engine returns 29.4mpg at best, and will land you with a £500 yearly tax bill. The interior is classy and feels well-built. The dash is visually compelling and well-organised. The car gets the brand’s much-praised iDrive control system, as well as a 10” high-def screen. The steering wheel and driver’s seat are adjustable, while there is a generous amount of standard kit. This includes Bluetooth connectivity, Driving Experience Control, and a DAB digital radio. You can specify a third row of seats if you don’t need to make use of all the 650-litres of space that the boot offers. Specifying the third row of seats pretty much turns the X5 into a people carrier, and kids will enjoy the commanding view they’re afforded. Interior space is on the whole good, with folk in the rear able to enjoy as much comfort and room as those in the front. Headroom is fine. 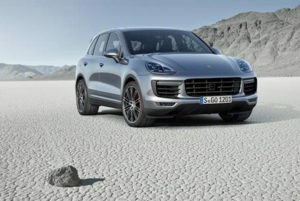 The new Porsche Cayenne Estate blends sports car character with SUV practicality to great effect. For a car of this size, the Cayenne drives exceptionally well, and is even what you’d call entertaining. It’s also fast, with even the bas-level diesel engine delivering up to 262bhp while covering the 0-62mph stretch in just 7.3 seconds. The Diesel S is the quickest, though, and does 0-62 in 6.4 seconds. Both engines offer lots of shove at all rev ranges, which means you don’t need to work the car hard to get the best out of it. It’s ready to oblige at all times. The S E-Hybrid model delivers up to 416bhp, but will cost more than the diesels to buy outright. It’s also heavier, but 0-62mph can be done in 5.9 seconds, which is impressive. It combines an electric motor with a supercharged V6 petrol engine. If you want a complete petrol model, though, you should train your eyes on the the muscular 420bhp V6 power plant. It takes care of the 0-62mph sprint in 5.5 seconds, while a more expensive Turbo model does it in 4.5 seconds. Like the Range Rover Sport, the Cayenne will be really expensive to run if you do go for a petrol model. The Cayenne S can’t return better numbers than 29.7mpg, though the diesels will be more popular. The cheapest diesel to run is the S, which is good for 42.8mpg, while the hybrid model can return fuel economy of 83.1mpg and is free to tax. However, there are variables involved here – to achieve those numbers, you would need to rely on electric power alone a lot of the time, which means extensive charging. The Cayenne’s interior is luxurious and well-built. The wraparound design of the dash enhances the sporty flavour of the car, while the leather seats offer plenty of comfort, support and – in the case of the driver’s seat – adjustability. Everything feels solid, and there are plenty of ways you can personalise the car. A minor criticism, however, is that compared to the Range Rover, the Cayenne’s dash contains too many buttons. It’s a family friendly SUV, though, which comes with lots of interior space upfront and in the back for five occupants, a 670-litre boot, and lots of storage spaces, including cup holders in the rear seat rest and centre console and a big glovebox. If you ever need more legroom or boot space, the rear seats can slide back and forth. Make no mistake, this is a five-star car. There’s a heap to like and very little to fault. It’s huge and luxurious, the interior is well-crafted, there is more space than you probably really need, and it drives better than ever. Indeed, this is Land Rover’s major success story of recent years, and arguably their best ever land model. 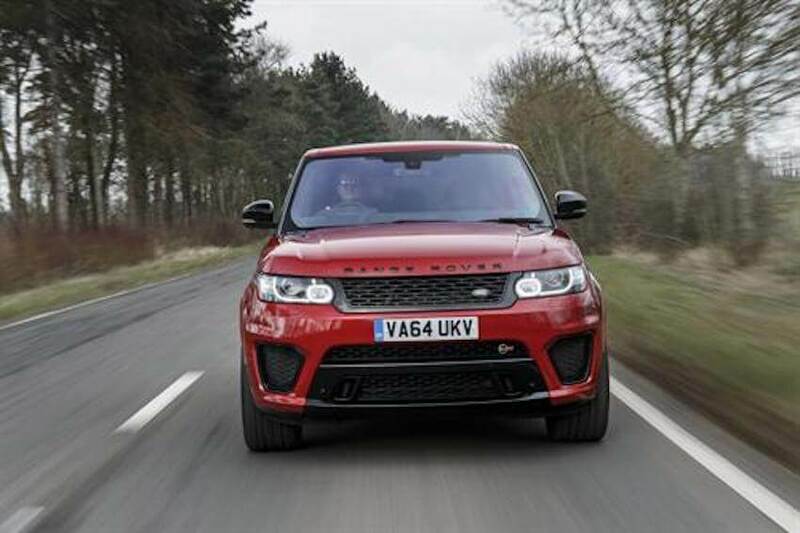 For that alone, the dramatic and impressive Range Rover Sport is well worth a test drive.